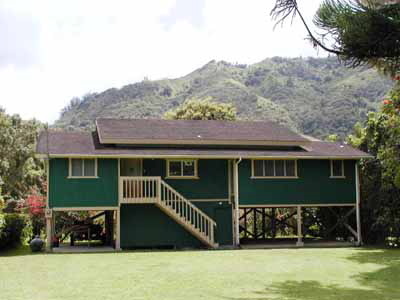 HAENA, KAUAI VACATION RENTAL: The Haena Hula Kauai is a darling 2 bedroom + 2 bath home located across the street from the beach in Haena on Kauai’s North Shore. 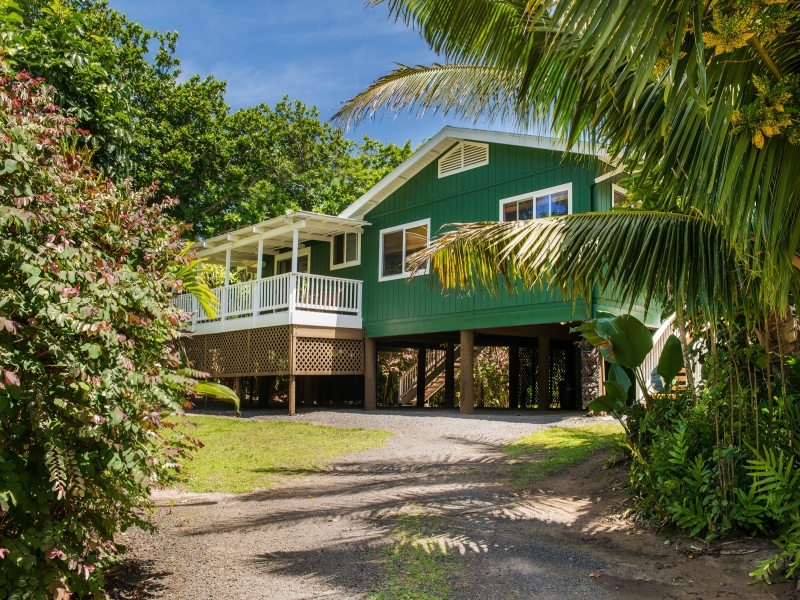 Take in the ocean views from the interior of this lovely house while relaxing on the spacious lanai which extends into the living room area. Sleeps 4. 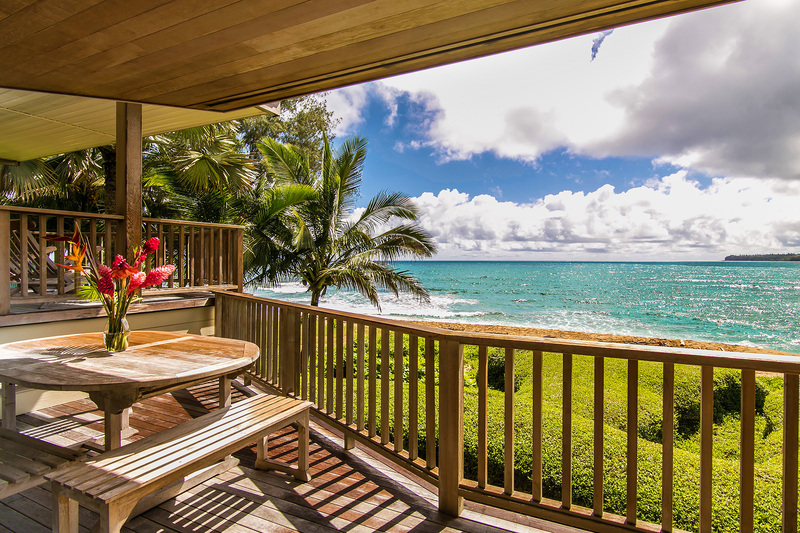 HAENA, KAUAI VACATION RENTAL: Savor the ocean views and enjoy the gentle trade winds from this luxury vacation home with three bedrooms and 2.5 bathrooms. Haena Hula is just steps from Haena Beach and a 10-minute walk to Tunnels Beach– one of our finest seasonal snorkel and surf locations on the North Shore. 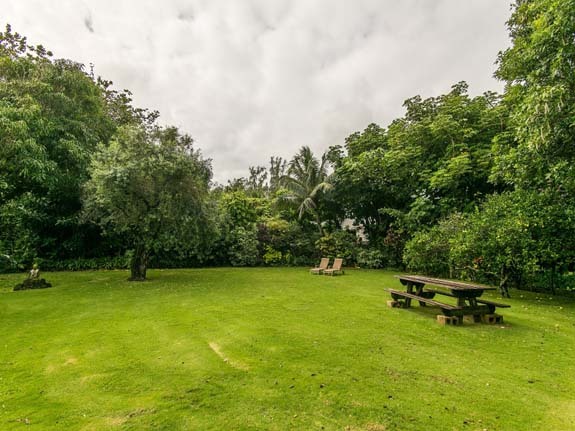 Haena Hula is just a few minutes drive to “the end of the road” at Ke’e beach, the start of the breathtaking Kalalau Trail and the famed Napali coast and just 5 miles from Hanalei Town. 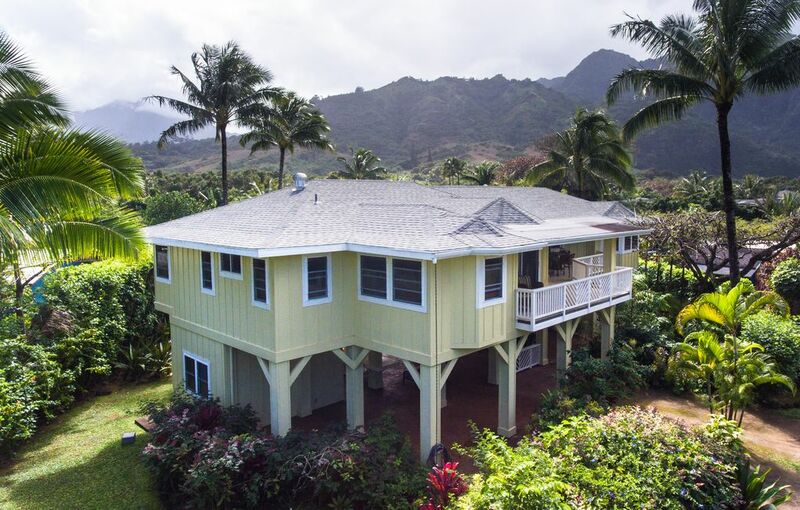 HAENA, KAUAI VACATION RENTAL: Vacation “Hawaiian Style” at stunning Haena Lihi Kai, a 4 bedroom home with Naue Beach right outside the door. Warmed by the tropical sun, cooled by the local tradewinds and shady coconut palms, this home is in truly one of the most beautiful spots on earth. 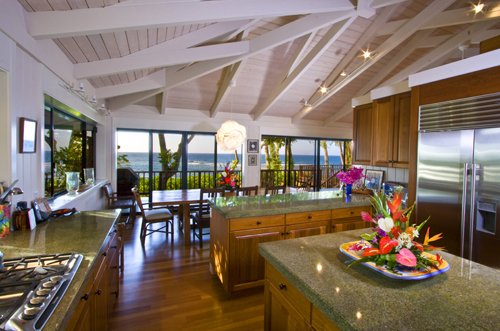 Enjoy the screened dining lanai and a covered oceanfront lanai for lounging and dining. Sleeps 8. 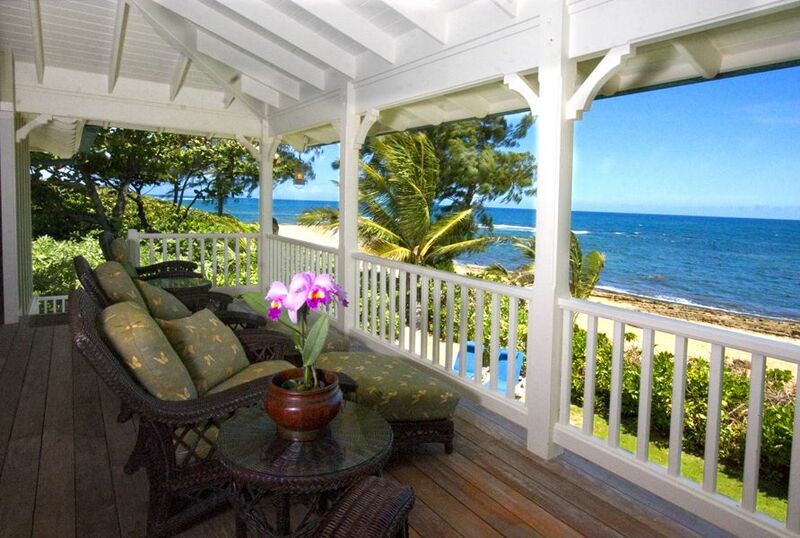 HAENA, KAUAI VACATION RENTAL: Hale ONaue is a breathtaking beachfront home located on Kauai's North Shore. 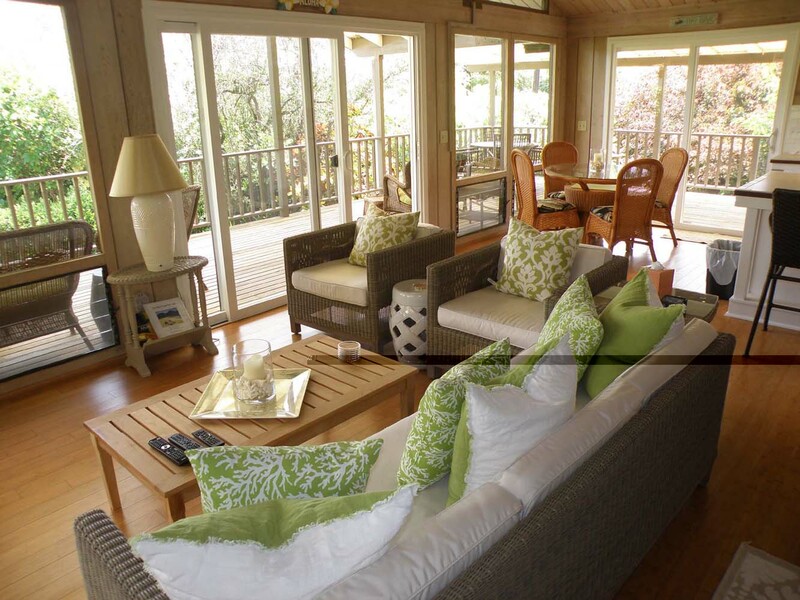 This luxury air conditioned home offers island-style living at its best! Whether you are traveling for business or pleasure, this home offers all amenities and much, much, more! Sleeps 6 people. 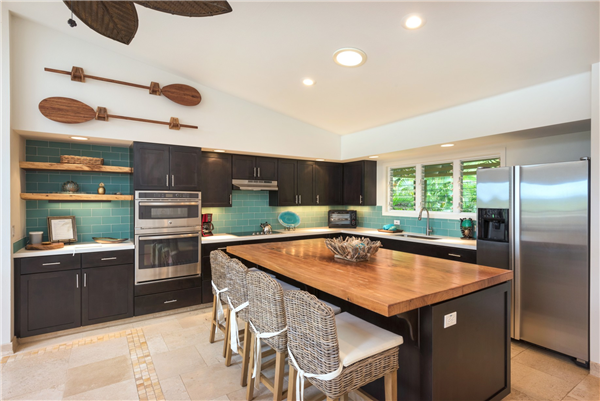 HAENA, KAUAI VACATION RENTAL: Ka Hale Kaiola is a breathtaking, beachfront luxury Haena vacation home with air conditioning located on Kauai’s North Shore. 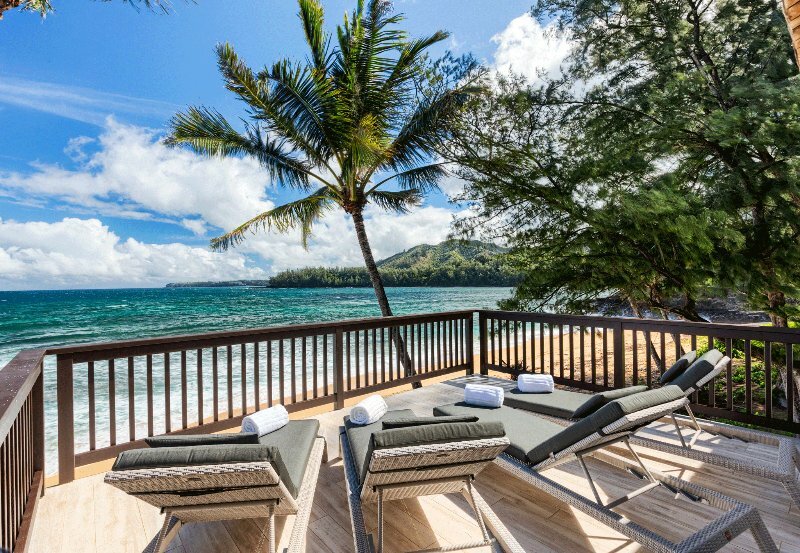 Ka Hale Kaiola is located just 15 minutes from the town of Hanalei and just steps to Tunnels Beach, the best snorkeling location on the island. This is island-style living at its best! Sleeps 6 people. 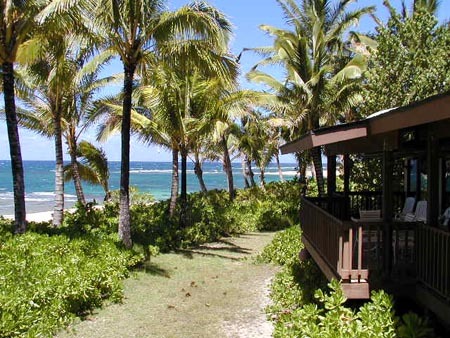 HAENA, KAUAI VACATION RENTAL: Kaulana Naue is located beachfront on Kauai’s scenic north shore. This architectural masterpiece is worthy of royalty. Custom-designed, this is the perfect setting for your dream vacation. 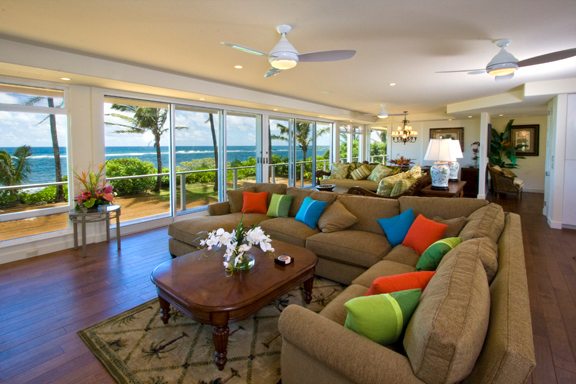 Large picture windows bring a stunning ocean vista into the spacious living area. Lush foliage surrounds the well manicured grounds, affording guests an extra measure of privacy. 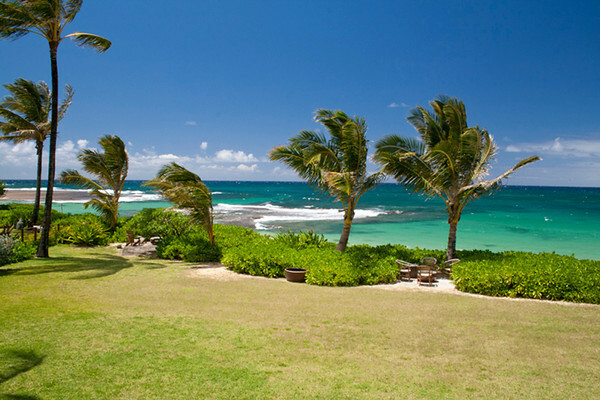 Steps away, the sandy beach invites sunbathing and strolls along the endless coastline. Sleeps 12 people. 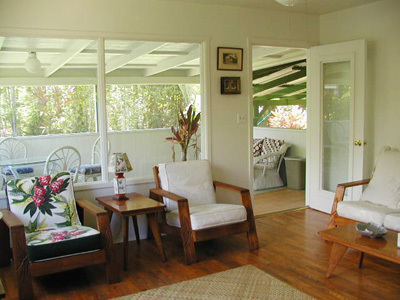 HAENA, KAUAI VACATION RENTAL: Keiki Leo is nestled among Kauai’s wild plant life of Heliconias, hibiscus, ginger and plumeria. 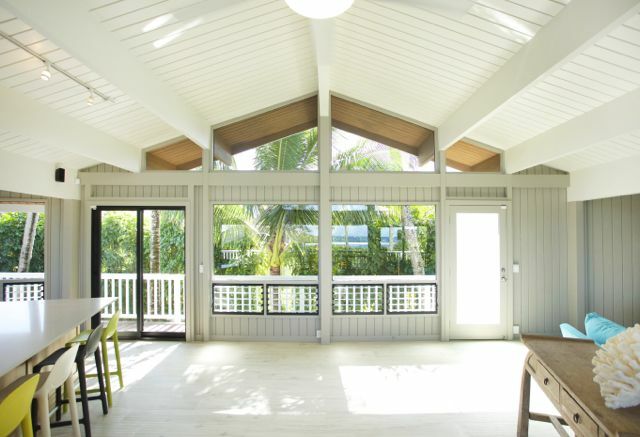 This charming, circular 3 bedroom, 2 bath home lies just 200 feet from the beach. Open beamed living and dining areas provide for spacious and relaxed enjoyment with stunning views of both ocean and mountains. 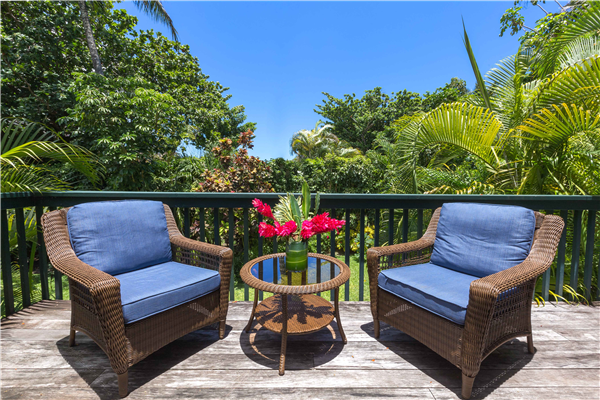 Wake up to the beautiful melodies of jungle birds, take a short walk to Tunnels Beach for snorkeling, or enjoy warm island breezes as you dine on the wrap-around lanai. Sleeps 6-8 people. 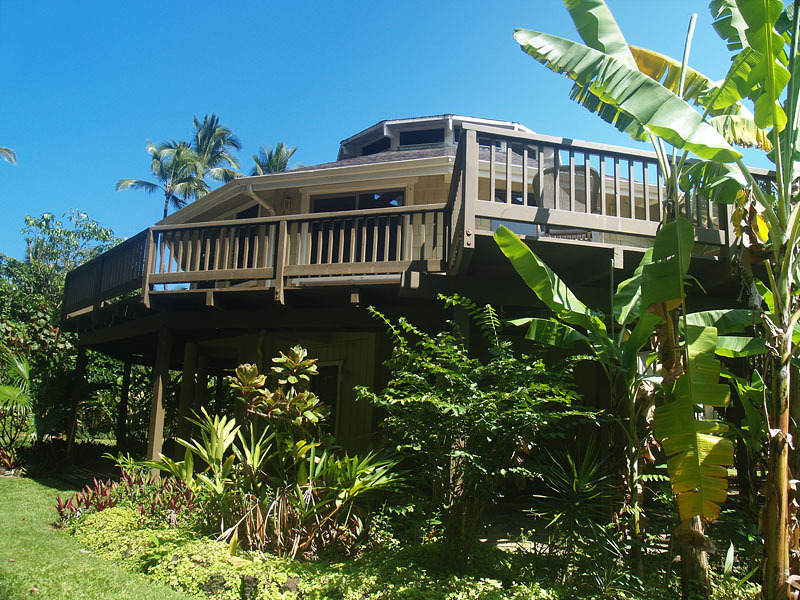 HAENA, KAUAI VACATION RENTAL: This beautiful 5 bedroom/ 5 bath home, sleeps 12 and sits on a fabulous and nearly private beach! 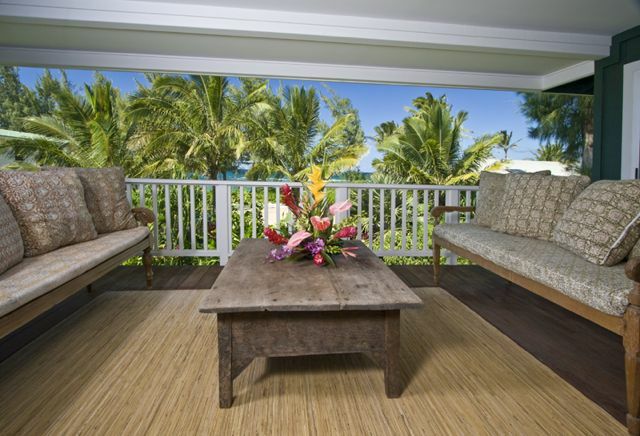 The views of the turquoise water from the home are breathtaking! A fabulous location for a family reunion, vacation with friends and family, or just relaxing the days away. Click above for more Haena Maps. 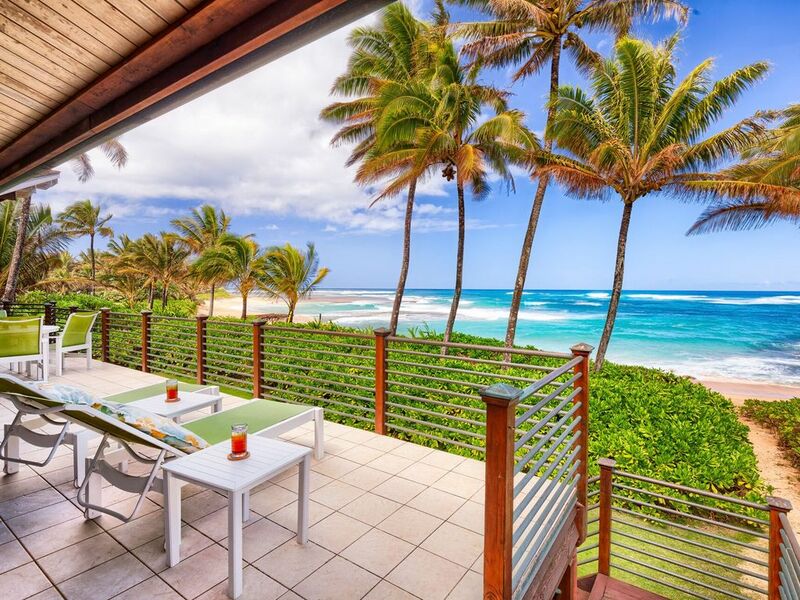 Kauai’s north shore is undoubtedly one of Hawaii’s most desirable places to live and play. Postcard-like vistas attract tourists, artists, surfers and celebrities from all over the world. Raw beauty, a slower pace and monstrous winter surf combine to give the north shore its “sought after” reputation. 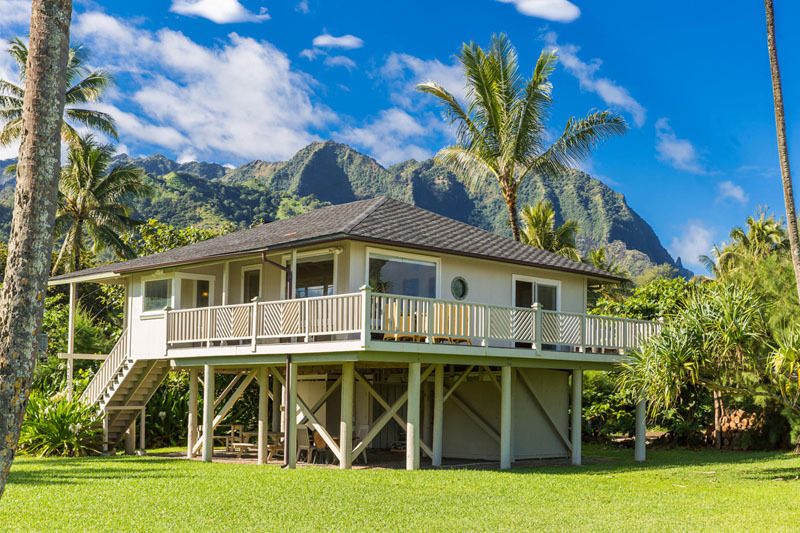 Accessible by a handful of one-lane bridges and framed by a backdrop of jagged cliffs, lush green jungles, illusive waterfalls, gorgeous white sand beaches, epic snorkeling, fabulous hiking trails, and breathtaking sunsets, Haena is the last ‘outpost’ on Kauai’s North Shore. Haena is the perfect place to vacation if you simply want to get away from it all. 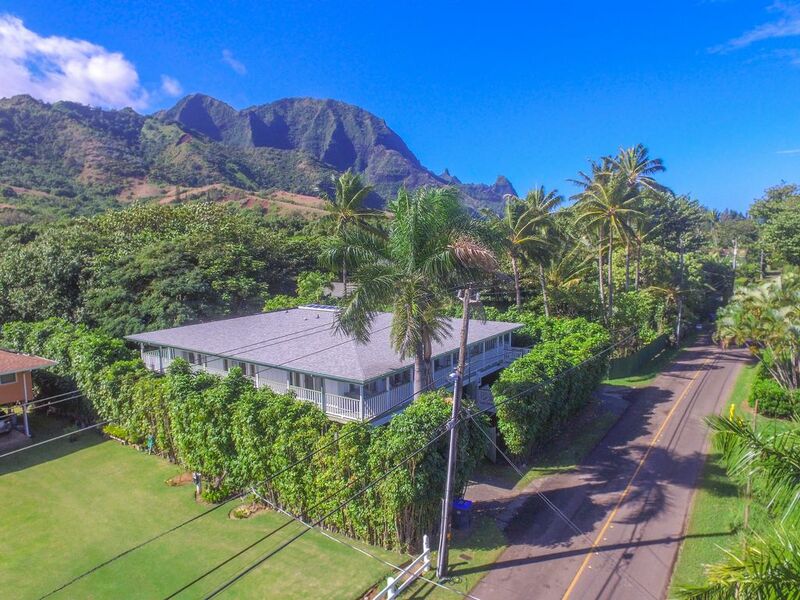 It is a small, ocean front, residential community situated about 4 miles beyond Hanalei and is arguably one of THE most beautiful places on the planet. You won’t see any high rise, timeshare resorts here, just a contrast of multi-million dollar beach homes and tin-roofed island shacks. 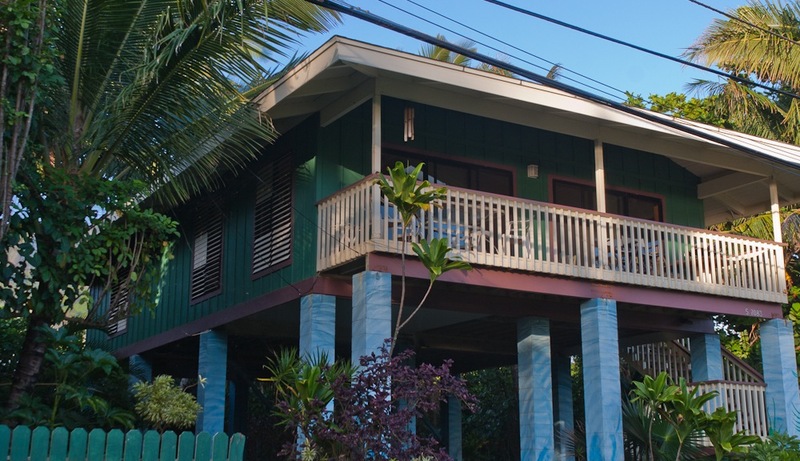 The quaint and unconventional community of Haena serves as a focal point for many of the north shore’s popular attractions. Ke’e Beach in Haena marks the very end of the road and the beginning of the world famous Na Pali Coast and hiking trail which extends 11 rugged miles to Kalalau Beach. The NaPali Coast, is a time and weather sculpted coastline of secluded white sand beaches, sea caves, waterfalls and streams that empty into the blue pacific. During the summer months the NaPali Coast is enjoyed by visitors and locals alike whether it be hiking, kayaking or a guided NaPali Coast tour. 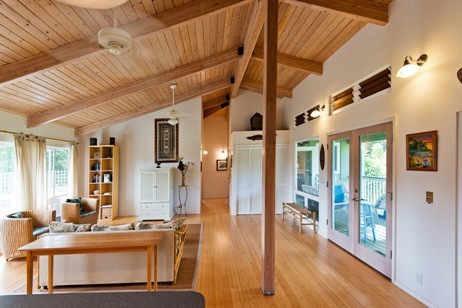 Ke`e, was made famous as a movie location when Richard Chamberlain and Rachel Ward reunited in the movie “Thornbirds”. Another of Kauai’s famous movie locations is the fictional island of “Bali Hai” from the 1958 movie “South Pacific”, which is actually Mount Makana, a pinnacle that rises above Ke`e Beach and marks the beginning of the NaPali Coast. The outer reef at Ke`e beach makes for protected swimming and snorkeling during the summer months. Caution is advised during the winter months due to large surf and rip currents. Just across the street from the Dry Cave is Haena Beach Park which is one of the most popular white sand beaches and boasts one of the best camp grounds on the island. Haena Beach Park offers bathroom and shower facilities and is the launching point for summer time kayak excursions down the NaPali Coast. The terraced gardens of Limahuli are located in a verdant tropical valley overlooking the ocean just minutes South of Haena Beach Park. The property includes a plantation-era garden, as well as invasive species that were introduced by modern man. Limahuli Stream, one of the last pristine waterways left in the Islands, provides a habitat for indigenous aquatic life. One of the most popular Haena attractions is Tunnels Beach, a haven for sun worshipers, snorkelers, scuba divers, kite surfers and windsurfers. The beach and reef are impressive however parking can be somewhat of a challenge and there are no public facilities here. Due to treacherous surf, caution is advised during the winter months.